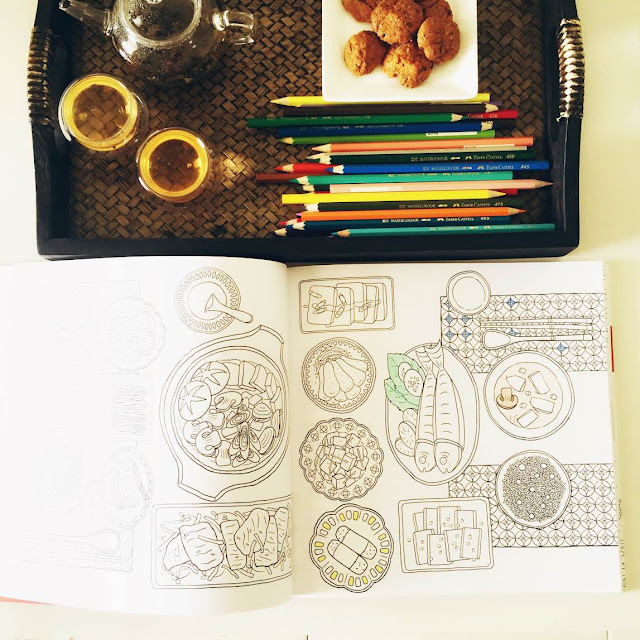 I have been taking a back seat from updating my posts on this blog because I have stumbled upon a new hobby which is pretty addictive - colouring. 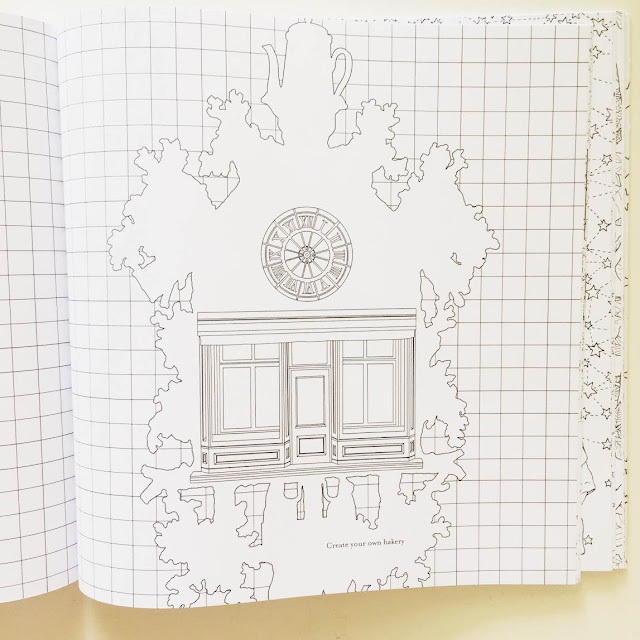 The adult colouring book is a new phenomenal event in the publishing industry since its sales surpassed the Holy Bible and Quran for being the top selling books from the shelf. Psychologists around the world have been recommending colouring therapy to patients that suffering from stress and anxiety for many years. Not until recently, illustrator Johanna Basford is to be blamed for introducing the therapy to the public at large. There is only one answer to why adult colouring books are selling like hot cakes - every adult is suffering from stress and anxiety. We are all facing it at different levels, be it severe or mild. And we have been seeking for therapy in every possible way. 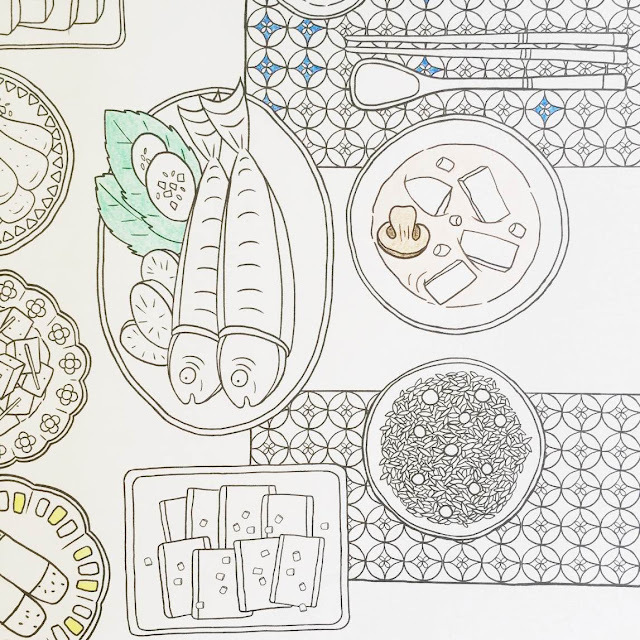 The adult colouring books is probably the most accessible therapy for all. It is cheap, safe, easy to use, and effective. With so many options available, it is pretty hard to choose the adult colouring book that suits you best. If you choose the wrong book, it can add up to your stress. So before you purchase yourself one, ask yourself what is the purpose of you engaging in this activity? Choose adult colouring books that have mandala patterns.When you start filling in the repetitive patterns, you will find yourself get drawn to the rhythm that puts you into a meditative state. 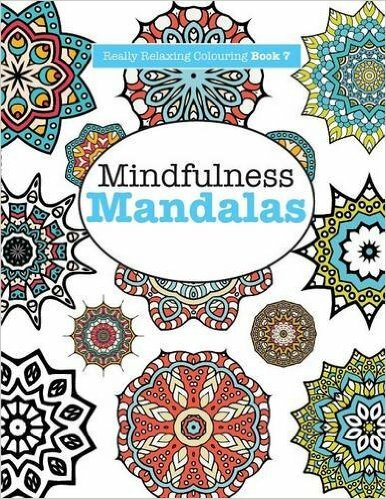 The Mindfulness Mandalas is a recommended pick. Find the colouring book that has the theme of your interest. If you are into tattoos, the Megamunden Tattoo Colouring Book will fit your personality. There are fashion colouring book for fashionistas, cats theme, or even colouring books for hipsters. In my case, I bought a colouring book that is filled with foods. I find myself giggling with excitement everytime I open the book. Not everyone is brave enough to create a piece of canvas with splashes of paint on it. However, you can be creative with a simple guide from your colouring book. For example, the Daria Song's colouring book encourages you to fill up your own thoughts on the pages. 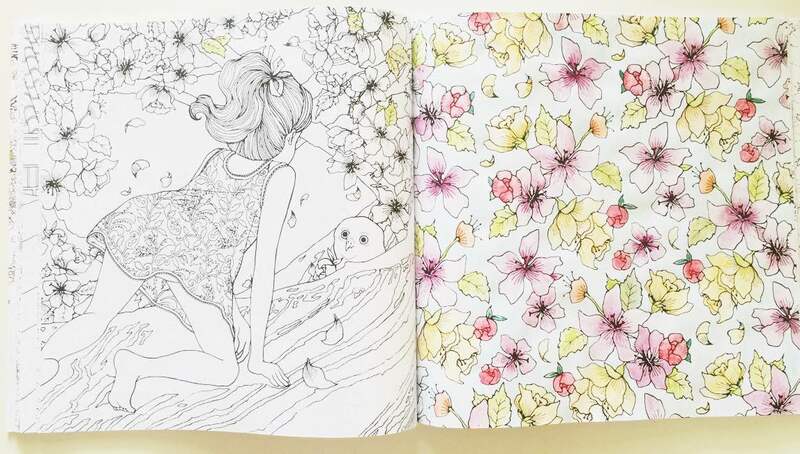 Some other books allow you to tear out the pages and turn your artwork into a postcard. There are so many different styles out there and you just have to choose the one that allows you to create something. Colouring is not just an activity for reducing stress. It can also be a bonding time for you and your kids. While accompanying them painting their colouring book, you can choose a design which you can relate to. It is really fun thing to do at home. Choose designs that your kids would love such as fairy tales colouring book. The top one is my baby's, and the bottom one is my work. Do you have a deprived childhood? Do you love to travel but don't have the means to fulfill your dreams at this moment? Choose a design that can fill in the gap in your life. For example, go on a virtual travelling around the world's cities with the Steve McDonald's Fantastic Cities. 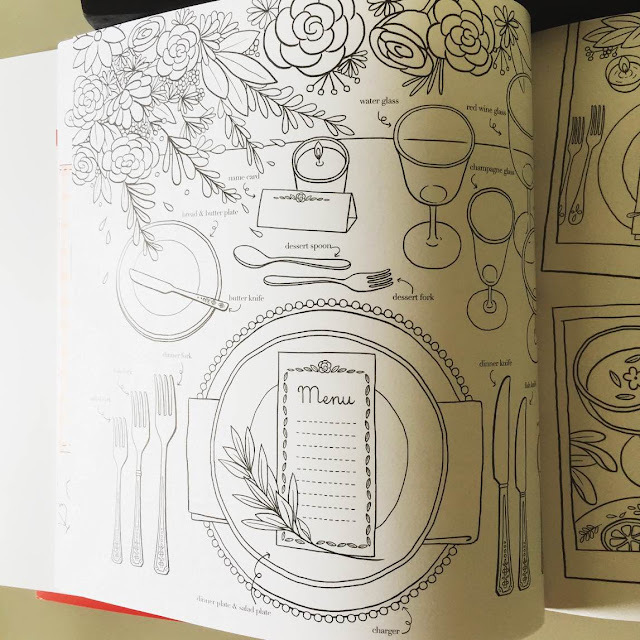 After you have found the purpose of you venturing into the adult colouring book, determine what are the colouring medium you would like to use - coloured pencils, watercolour, ink or crayon. If you will be using coloured pencils or crayon, you can pick up any book. However, if you are a watercolour or ink person, you will need thicker pages, or pages that has a blank sheet at the back of it to prevent colour bleeding. Next is to evaluate the level of your patience. If you are extremely impatient person and can't stand even an hour of concentration, do not go for designs that are delicate, intricate and fine. Your level of motivation will drop off half way. Go for designs that are bold, sparse and easy to colour. These are merely a guide. There is no right or wrong way to choose the adult colouring book as different people have a different preference. Of course, the artist do play a role in determining what style suits you. We also have our very own local illustrator that features colouring book with Malaysian touch. Her name is Emila Yusof. Do check out her style, it is super cute with some patriotism injected in her work. I find that the Chinese publisher have better options, especially those from Taiwan. Do venture to the Chinese section in the bookstore if you are looking for more designs. The food colouring book I bought was the best so far and it is published by a Taiwanese company. I stumbled on it at the Chinese section in Popular. It has a lot of extra information regarding food. The adult colouring book are available at all bookstores, newstand and some selected lifestyle boutiques. Prices range from RM20 to RM60.